This unit was removed from an installation where it was within a locked system panel – and as a result – has almost no indications of use whatsoever. 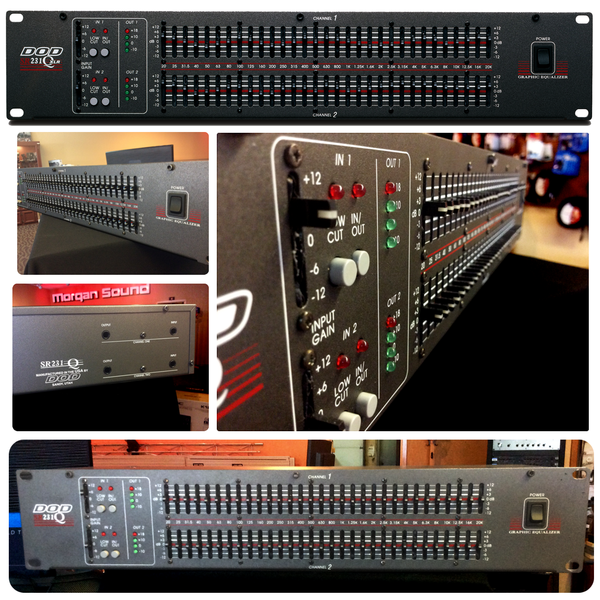 All knobs and sliders “glide” with the feel of a unit fresh out of the box – everything works to spec flawlessly. The DOD SR231Q is a powerful 2 rack space stereo/dual mono 31-band graphic equalizer of uncompromising quality, performance, and features. It allows the user to see a graphic representation of equalization applied to the audio spectrum of a sound source, and offers the flexibility to provide solutions to many EQ problems. The SR231Q offers up to 12 dB of cut or boost per band, and switchable low cut filters for each channel.